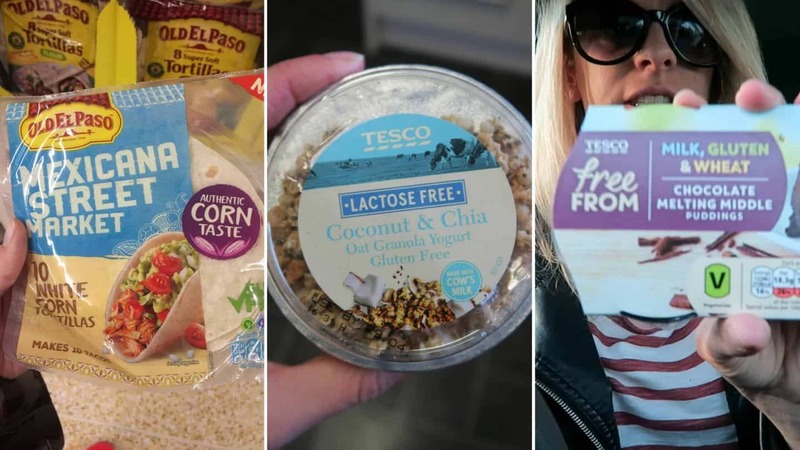 There seem to be so many new gluten free foods appearing at the moment – I’m guessing it’s probably something to do with the fact Coeliac UK’s Awareness Week is just around the corner! 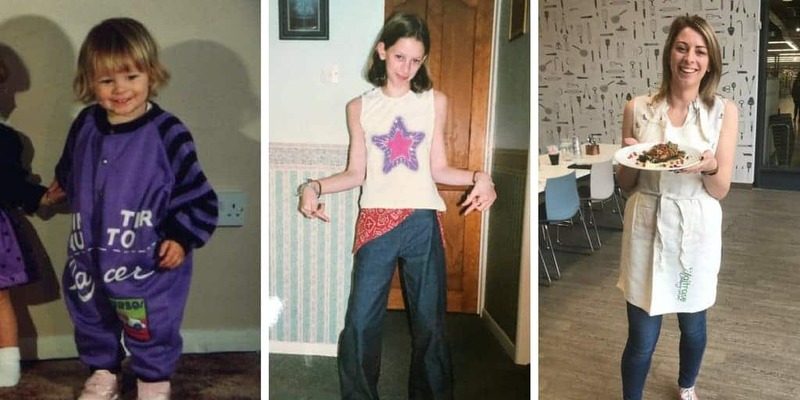 I thought I’d do a little post to sum up some of my new finds this last week – and I’ve made a vlog too! Newburn Bakehouse has bought out another new gluten free product – their gluten free protein wraps. These are in most supermarkets (Asda, Sainsbury’s, Morrisons, Waitrose) and contain 11g of protein per wrap, made up mainly from the addition of lots of seeds. I didn’t think they tasted too dissimilar from their normal gluten free wraps, but they made some pretty good protein wrap pizzas! Just top with whatever you like, I chose chorizo, egg and cheese, and bake for about 5-10 mins. Perfect. My, my, Tesco has been a busy little bee, hasn’t it? 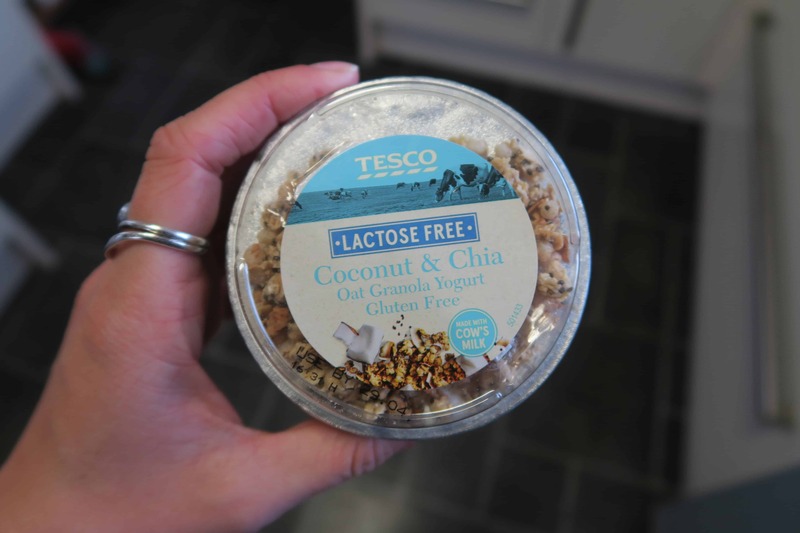 They have added to their growing free from range with some new, lactose free yoghurts and cheeses! 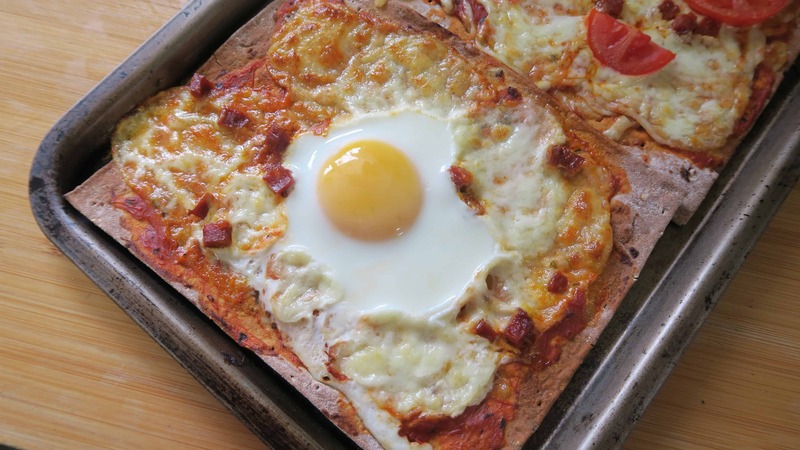 We tried the lactose free mozzarella on our pizzas – it was very similar but felt a little firmer and with not as much flavour as normal mozzarella. I also tested out their new lactose free yoghurts with gluten free granola. I really enjoyed these though there could have been a little more granola! I like the fact they come with a handy little spoon too! FINALLY, a corn tortilla which is the real deal, AND gluten free! 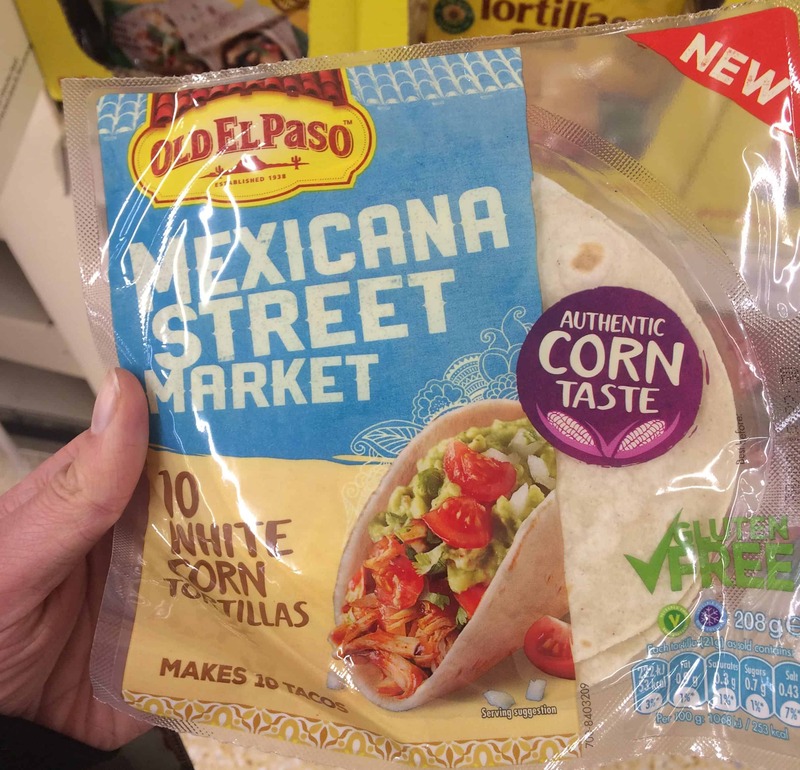 These new gluten free tortillas from Old El Paso came out in Sainsbury’s this week and they are amazing. They remind me of the proper Mexican tortillas we had when went to Mexico – they are so flexible and perfect for filling with lots of yummy, spicy treats. I can’t recommend these enough! 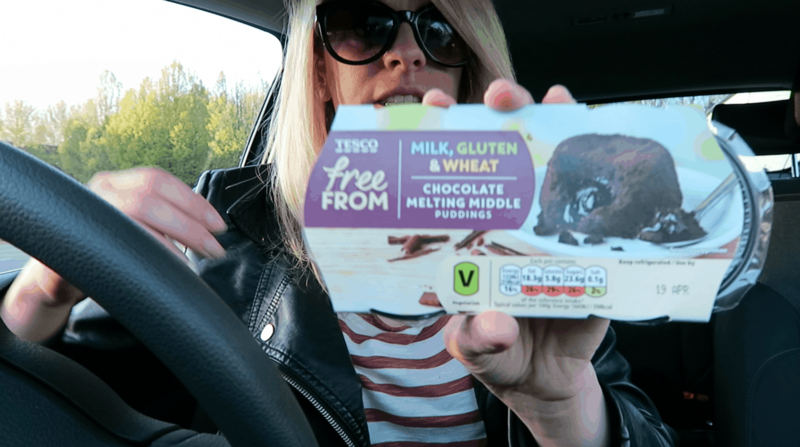 Ok, sorry this has turned into a bit of Tesco spam, but I also found loads of new gluten free desserts this week! Including these gluten free melt in the middle chocolate puddings which were delicious. You just microwave them then eat them – so easy! I’ve also spotted some gluten and dairy free cheesecakes in their chilled free from aisle too – has anyone tried them? 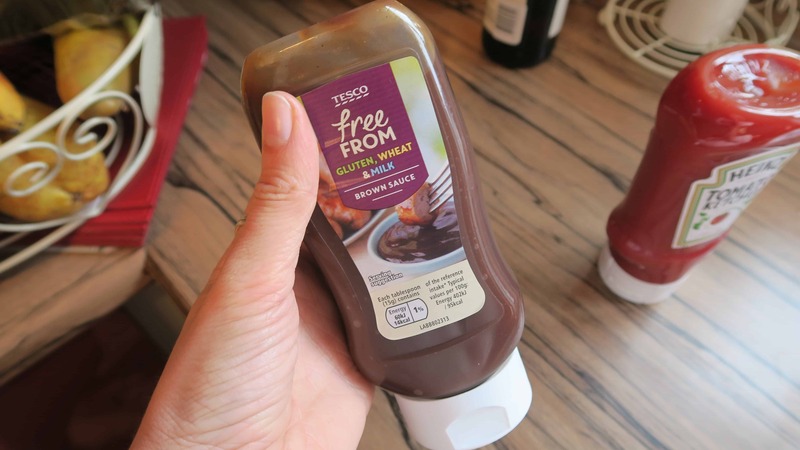 I never liked brown sauce before I was a coeliac but this gluten free brown sauce from Tesco may have converted me! My friend Darren picked this up for a barbecue we had at the weekend and I was really impressed. It was rich and fruit and I think I might have just become a brown sauce fan! Ok, it might not be QUITE warm enough at the moment for a barbecue (but we did it anyway!) but there is so much barbecue food out there which is gluten free this year! 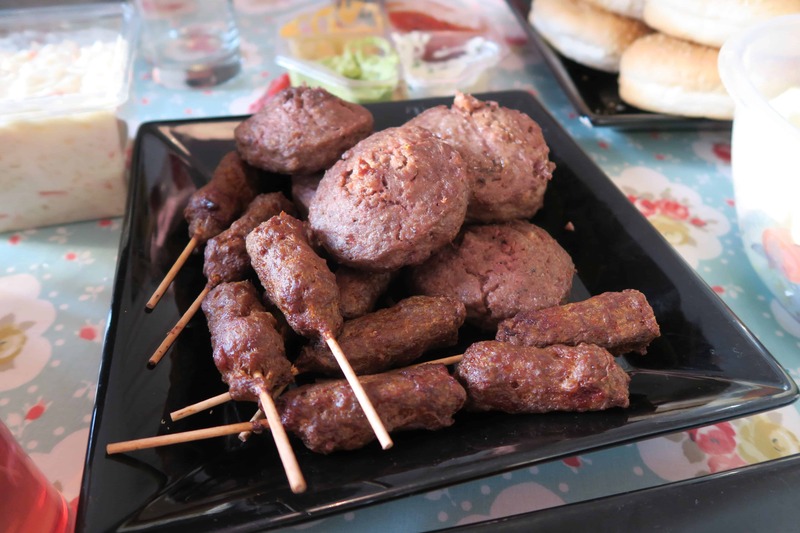 These Tesco beef burgers were labelled as gluten free, and the beef kebabs had no gluten in the ingredients. I’ve also found some yummy gluten free chicken kebabs in Sainsbury’s too – it’s worth having a good look at the ingredients as some of them said ‘breadcrumbs’ but this was made of rice and gram flour making it gluten free. Found any new gluten free food? Have you found any tasty gluten free treats this week? If so, please let me know in the comments or tag me on Facebook or Twitter or Instagram. 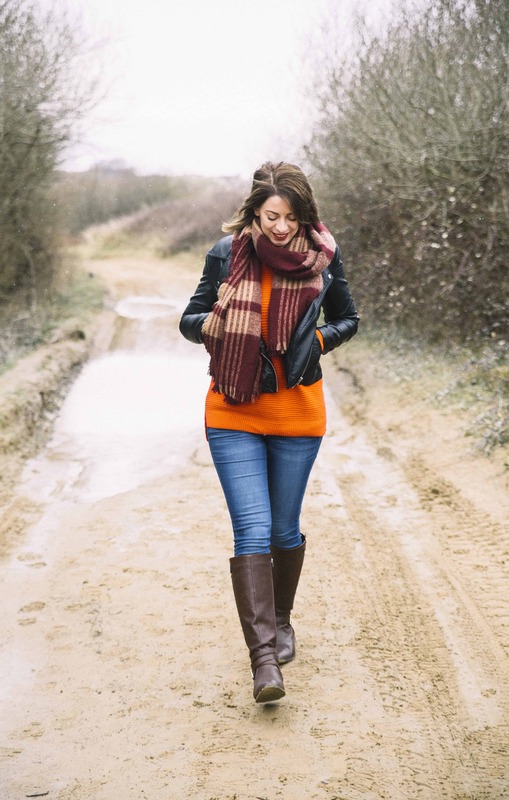 Come say hello, I always share my gluten free finds on social media when I’m out and about! Next Post Behind the scenes at FitCon UK 2017: Manning the Protein Pow stand!